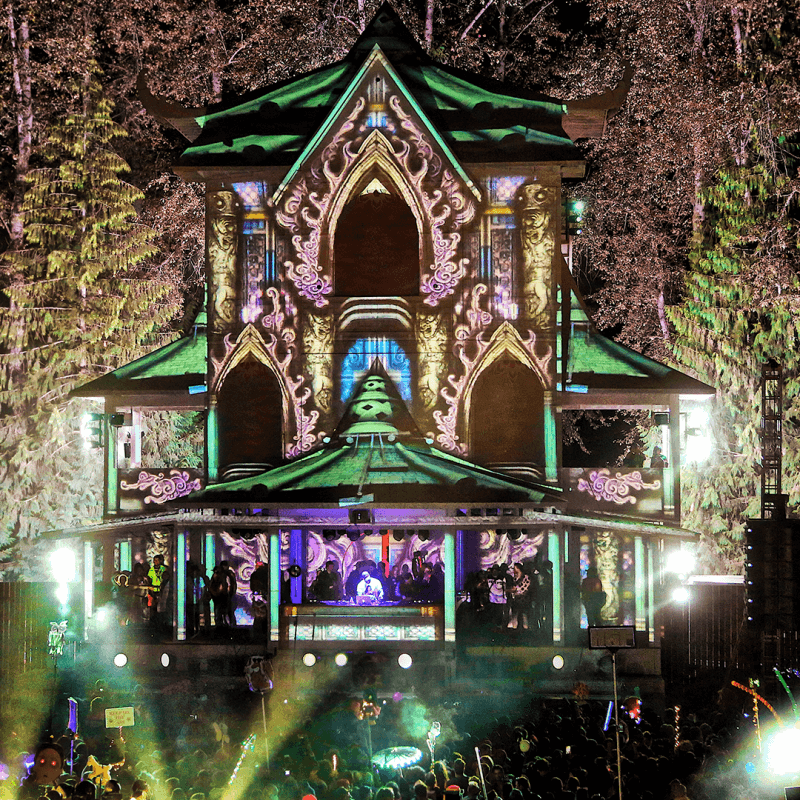 The Pagoda is a temple of myth, lore, and legend. 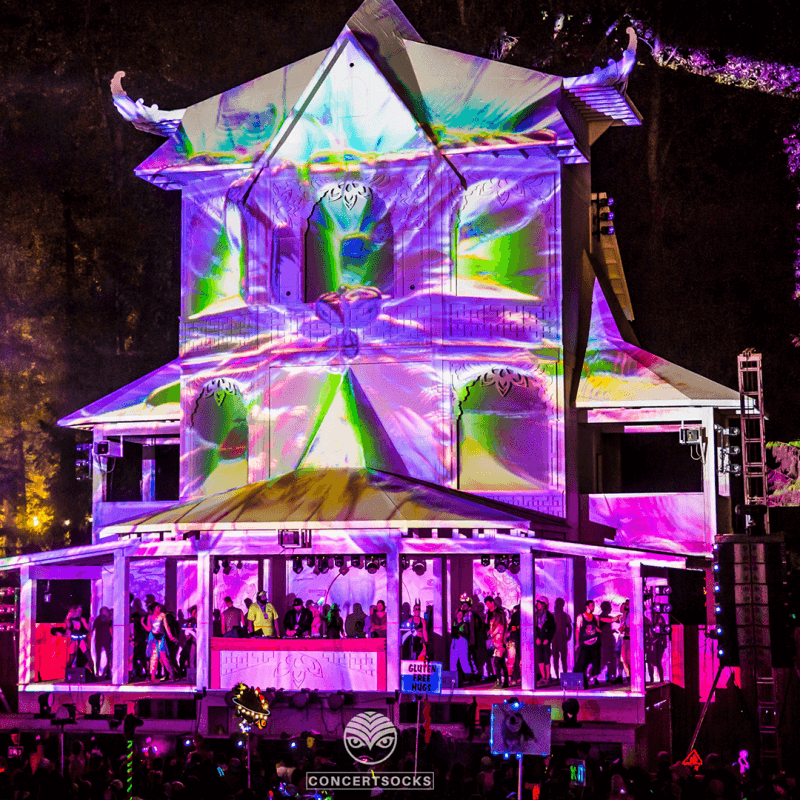 The seven-story house of worship has been designed by the Pagoda stage Druids as a symbol of the collective love felt from the people who gather to connect with each other at Shambhala. 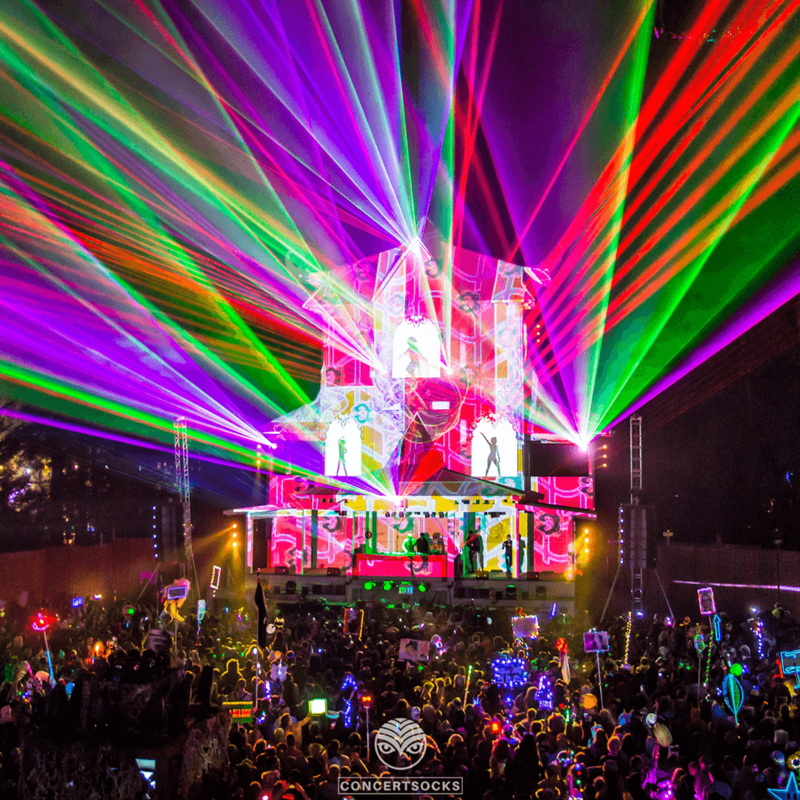 It is said that when dancing beneath the Pagoda people can also connect with their true selves. 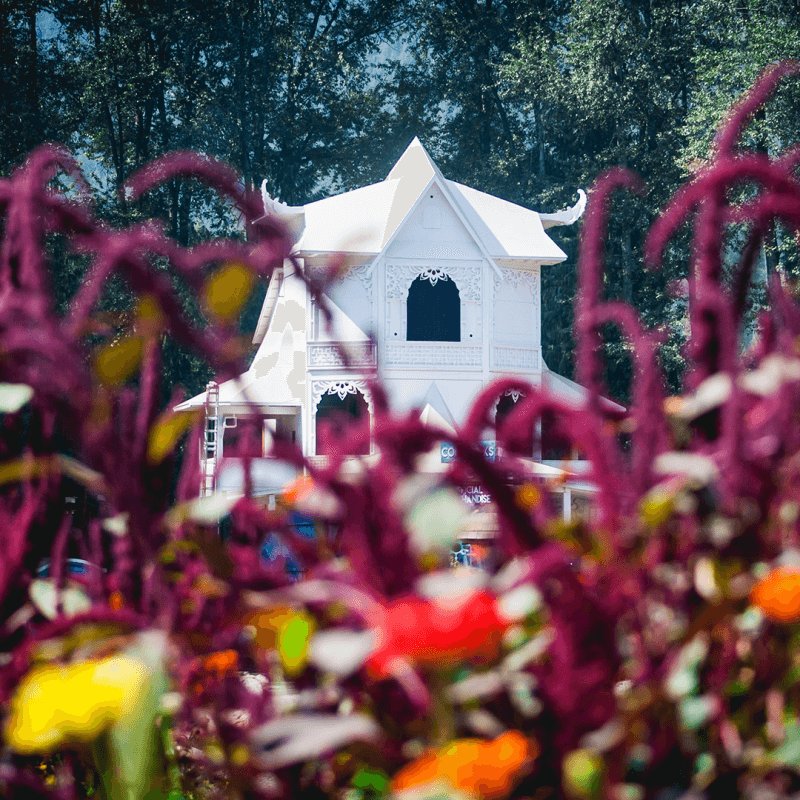 The Pagoda channels the energy released by people’s fears, anxieties, insecurities and negative emotions, completely destroying them and leaving nothing but a feeling of love and connectedness among its people. In this process, the Pagoda transforms into almost anything you can imagine. Mystikal creatures, Gothic temples, spirits, animals. We have even seen it change into a hamburger. 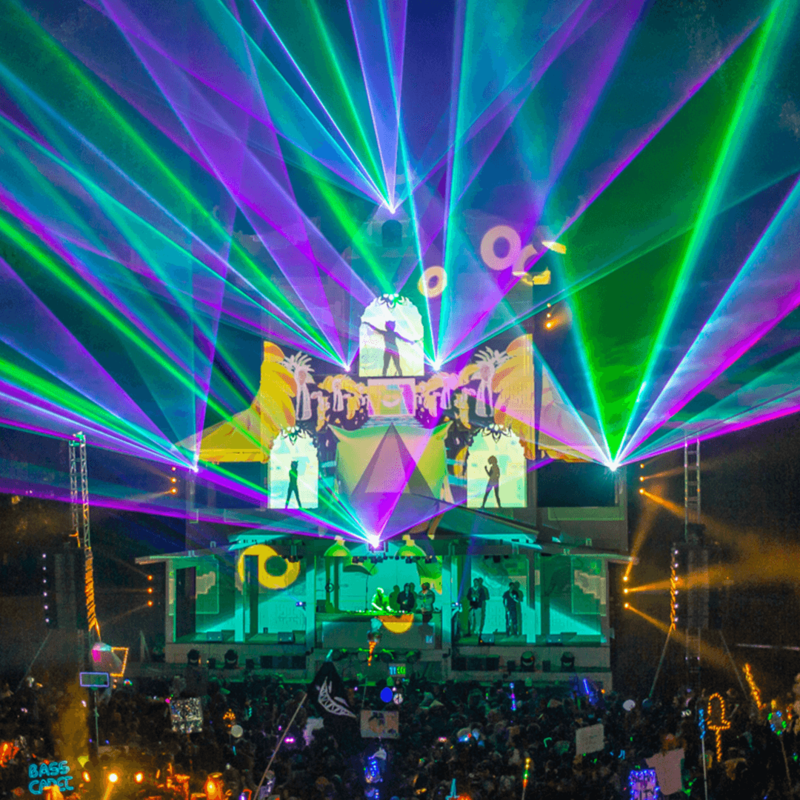 Pagoda 2019 is setting the bar for the future and the past of dance music. Its timeless connection with the global musical journey is meeting here for you under the trees at Shambhala.